Barcelona is playing host to one of the mobile industry’s biggest events. 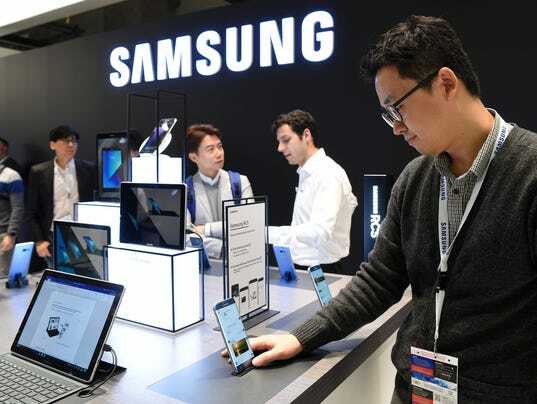 Mobile World Congress kicked off Sunday, with companies including BlackBerry, LG, Nokia and Samsung unveiling details on the latest smartphones and tablets. Softbank CEO Masayoshi Son believes computers and artificial intelligence will be really smart. How intelligent? He thinks AI-powered computers will have an IQ of 10,000. For comparison, Son says the average person’s IQ is around 100. He even says chips in our shoes will be so advanced, they’ll be smarter than us, too. This is how the robot apocalypse starts, folks. Once upon a time, BlackBerry and Nokia owned the cell phone business. Then a pair of mobile upstarts called Apple and Google showed up. The mobile companies sought to recapture their former glory with devices unveiled during MWC. BlackBerry unveiled a secure Android device, the KeyOne, launching in the U.S. in April for $549. Meanwhile, Nokia went retro, rolling out a revamped version of their 3310 smartphone. And, yes, you can play Snake on it. The electronics giant had a lot to share, specifically two new tablets. But the bigger reveal is when they plan to unveil their next smartphone. Invites that rolled out Sunday confirmed Samsung will host an event in New York on March 29, and it’s likely we’ll see the Galaxy S8 for the first time. It’s their first big release since the Galaxy Note 7, the discontinued device recalled because of overheating batteries.